The good thing about Innovation is that new capabilities you create that get traction in the market are part of your future. The challenge with Innovation is that most things don’t work out – like 9 times out of 10 (when you’re doing real innovation) ! …. with the ” mindset ” needed to identify and make the most of opportunities, being great at project execution, becoming a more agile organization, being more sophisticated at managing risk, and delivering results that matter. 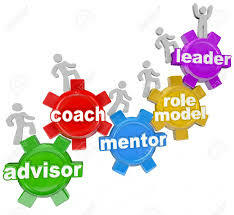 To increase the rewards from Innovation, it’s important to have Mentors and Coaches with the team to organize, guide, facilitate, empathize with issues, help with solution discovery / creation / deployment, ensure accountability, etc. provide new / fresh insights on : opportunities, industry / company direction and challenges, major trends that could impact the business, etc. ask questions internal folks may not think of, or are outside the scope of operations or their Dept. facilitate effecting change by advising of Innovation specialists with particular skills, methodology, services, or product. help assess new Partnerships to fast track making good on new opportunities, for competitive advantage, supporting strategic initiatives, etc. assist in establishing metrics to monitor organization progress in getting better at Business Innovation, being more agile, becoming more Customer centric, etc. provide additional suggestions for : new ways of using / monetizing technology, updating corporate strategy, increasing sales / profits, moving to a new business model, etc. …. by expanding self-serve capabilities, delivering new products / services, enhancing Partner / Customer loyalty, triggering up-sell / cross-sell opportunities, etc. Where is value being created and destroyed in your industry / business ? What are the threats to the business in the – near term (< 3 years) ? – longer term (> 3 years) ? Where are the opportunities ? Which are the best ones ? What are the challenges with each scenario ? What do we need to do to make good on the opportunities we plan to pursue ? What is the new strategic question to better position the organization going forward ? What are the right questions to be asking – Internally, with Customers, to Partners, Industry Influencers ? increase appeal by adding more value to current products and services ? 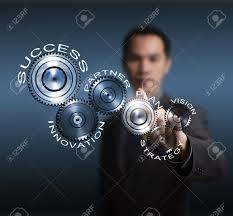 create new products and services in – current market(s) ? … to attract more Customers, demonstrate industry leadership, provide high value / margin, further differentiate the company, etc. expand the market / ecosystem ? learn from the technology industry about innovation, being more agile, better managing risk, quickly getting market traction on new products / services, etc. ? 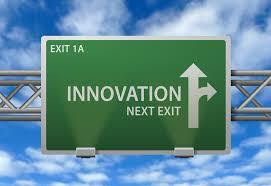 develop the Innovation mindset ? better understand trends and identifying new market patterns ? add intelligence to improve Client processes and deliver greater business benefits ? select metrics to confirm the organization is becoming more innovative ? increase relevance and revenue ? If you believe your answers to these questions are complete and your organization is well prepared for the future, then count yourself fortunate. For everyone else, those of us in the Innovation ecosystem welcome your inquiry about getting better at Business Innovation.